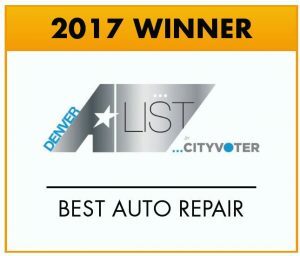 Keller Bros. is proud to have been voted Best Auto Repair on the 2017 Denver A-List. Every year, the Denver A-List asks participants in and around Denver to vote for their favorite businesses. Visit Denver A-List to see our profile! 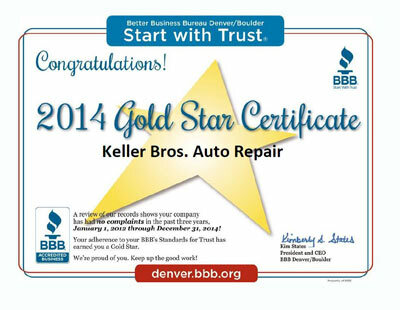 Keller Bros. Auto Repair was recognized by voters, including readers of Colorado Biz magazine and business owners across Colorado, in the 2016 and 2017 Best of Colorado Business Choice Awards as Best Car Service: Repair. The CARQUEST National Excellence Award finalists are nominated and selected by an independent board of industry trade publication editors from among the more than 40,000 shops which are serviced by CARQUEST Auto Parts stores. The top ten finalists are selected each year and given awards at a national event banquet. Keller Bros. has been a top ten finalist three years in a row. In 2007, Keller Bros. was honored to have been named Best of the Best Auto Repair & Tire Store by readers of Colorado Community Newspapers in Centennial. 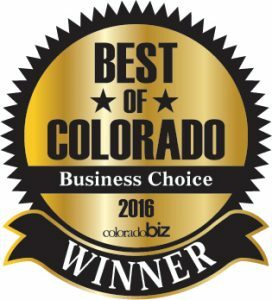 In previous years, Keller Bros. has also been named “Best of the Best” by readers in both Littleton and Highlands Ranch. National Institute for Automotive Service Excellence is an independent testing and certification organization for technicians and shops. The Master Certified Technician designation is given only to those technicians who qualify in all 8 categories of repair. About 2% of technicians in the nation have this level of certification. The ASE Blue Seal Certified Shop designation is given to select shops that meet the high qualifications. There are only 68 shops in Colorado and about 1,500 in the nation that have qualified for this designation. Automotive Management Institute is a national management training and certification organization for automotive service advisors and managers that was started by ASA. 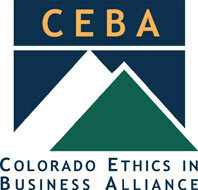 There are only about 1,100 Accredited Automotive Managers in the nation and 77 in Colorado. Automotive Service Association is the most prominent auto repair association in the country with over 13,000 business owner members. The ASA Gold Medallion shop designation is granted to shops that pass a rigorous test and inspection by local ASA Board members for ethics, good business practices, annual training and certification, proper environmental and regulatory licenses and procedures, insurance compliance, tools and equipment, and many other high level requirements. There are only 18 Gold Medallion Certified shops in Colorado. Keller Bros. is a NAPA Auto Care Center, meaning it meets the rigorous standards of the NAPA AutoCare Program. An approved shop must meet standards for “community reputation, integrity, qualifications, and expertise.” Being a NAPA AutoCare Center also means offering the NAPA AutoCare Peace of Mind Warranty which covers qualifying repairs for 24-months/24,000 miles. International Automotive Technicians Network is a network of technicians and business owners where e-mail forums on many different subjects are cataloged in databases which can be searched and reviewed as a tremendous resource of information. Also, instant feedback from any of the more than 40,000 members can be received for immediate action on any pending technical or management problems or decisions.